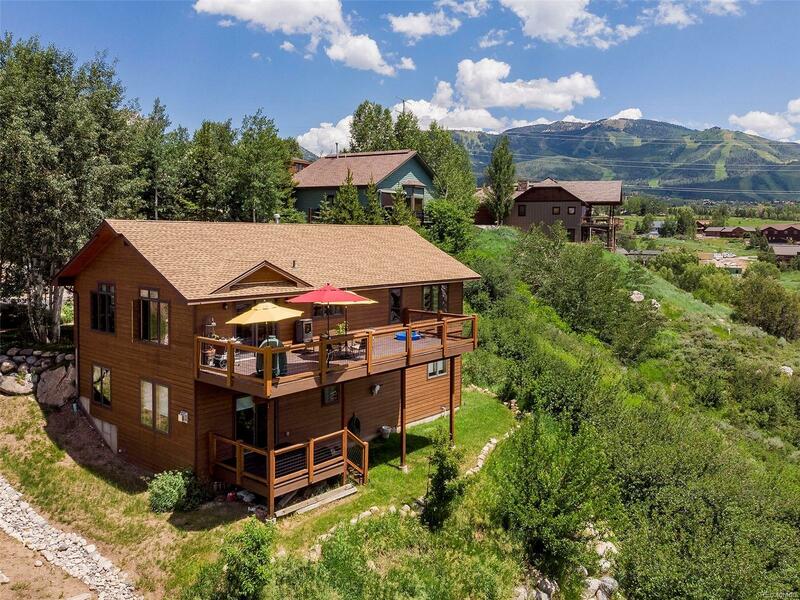 Rare offering for a single family home in Steamboat Springs at this price range. Featuring 4 bedrooms and 2.5 baths on 2 levels, this ideal floor plan is perfect for any size family. The main floor has an open living, dining & kitchen area with master suite and spacious deck with retractable awning overlooking the open space with grand views of the Steamboat Ski Area and Emerald Mountain. The lower level has an additional living space, 3 bedrooms, full bath and laundry room. Walk out from this level to the covered patio and outdoor area. Features include Brazilian hardwood floors, slab granite countertops, generous storage and closet space throughout, and an attached, heated 2 car garage. Prime location in the Fish Creek neighborhood, ideally positioned between Downtown Steamboat and the Mountain.